Tell Congress: Don’t Mess with Endangered Species Protection! Last week, the U.S. Congress passed an omnibus spending bill that is a direct attack on the Endangered Species Act. A rider attached to the must-pass spending legislation blocks the U.S. 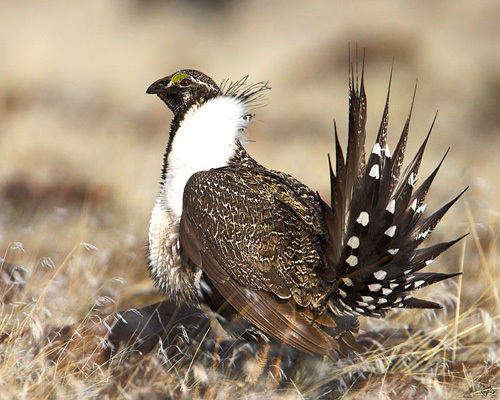 Fish and Wildlife Service from adopting long-overdue protections for imperiled sage grouse, which are teetering on the brink of extinction. Tell your Congressional Representatives: Never Again! During happier times when Congress was wiser, the Endangered Species Act was specifically crafted to prevent politicians from playing games with native species on the brink of extinction. The Endangered Species Act explicitly removes politics from decision-making, and requires decisions be based on the best available science. The Act is the last hope for wildlife when local efforts fail to ensure their survival.